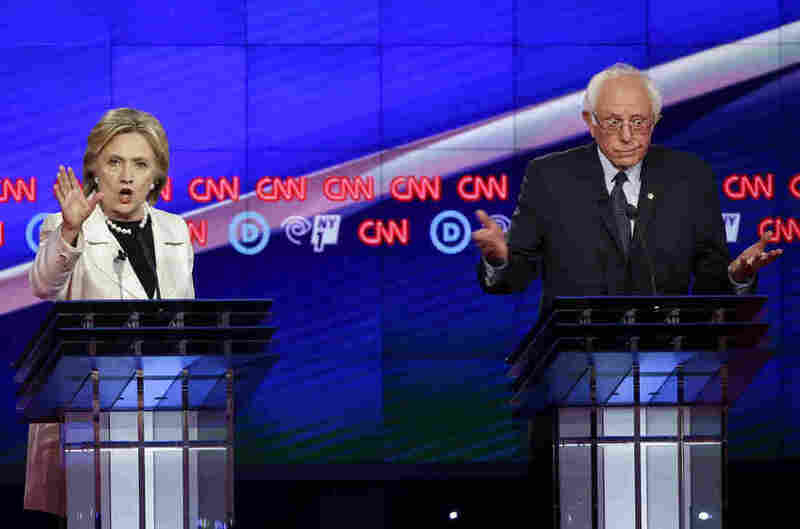 The 9th Democratic Debate, With Hillary Clinton And Bernie Sanders, In 100 Words (And 3 Videos) : The Two-Way In substance, the debate was essentially a recap of previous ones. In style, it broke new ground. It was sharp and contentious. Sen. Bernie Sanders and Hillary Clinton during the CNN Democratic Presidential Primary Debate at the Brooklyn Navy Yard on Thursday. That's the quickie version of what happened in the ninth Democratic presidential debate of the 2016 race Thursday night. The politics team has wall-to-wall coverage.